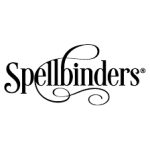 SpellbindersPaperArts.com is the official website and online store of Spellbinders. The Phoenix based company is also known as Spellbinders Creative Arts. The company specializes in die cut, emboss and stencil. It sells innovative solutions for do it yourself crafters of today. The online store offers substantial markdowns on dies in clearance, such as discounts of up to 70%. The inventory is routinely updated to offer the latest and best in art and craft. You can buy etched dies, steel rule dies, machines, card creator, nestabilities, shapeabilities, paper bag envelope, stamps and accessories. There are designer collections, value bundles and club kits.